We have been challenged by Plant Me Now to create a hanging basket design for next year. Our normal approach to creating our baskets on the patio is to cram various bedding plants in left over from doing the pots without too much thought. So actually planning the basket has been a fun and different approach. 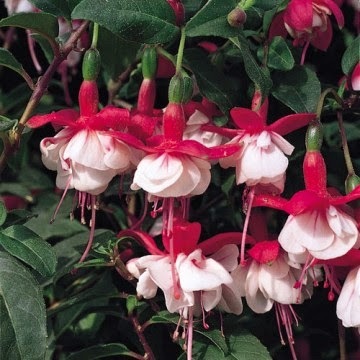 Our central plant in our basket design is Fuchsia Snowcap an upright variety that produces masses of semi-double red and white flowers all summer long. This Fuchsia has an RHS award for garden merit and its easy to see why, with fantastic vivid flowers. In Fuchsia circles its a famous variety bred more than a hundred years ago and still very popular. 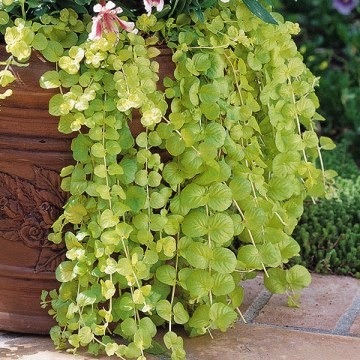 It is equally happy in cool shade or alternatively in sun so it works well as a basket plant. It can be kept alive for the following year if you over winter in a frost free place such as your greenhouse. 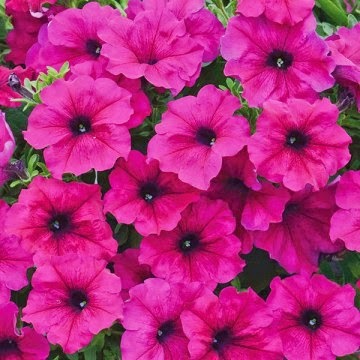 Petunia Fanfare Royal Purple is a trailing Petunia with a naturally compact habit. 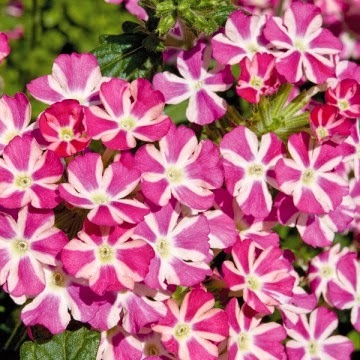 This variety flowers early and produces masses of large brightly coloured flowers, that last all Summer long. Making it an outstanding patio performer, in baskets and containers. 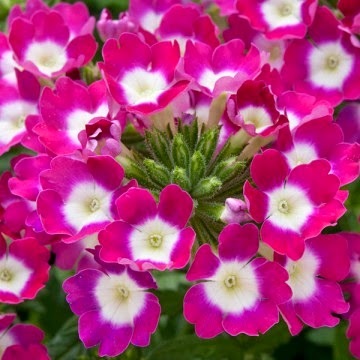 Verbena Estrella Pink Star is a upright/semi-trailing variety of Verbena that performs well in full sun or part shade and flowers from June to August. To tone down the pink just a little and pick up on the white of the Fuchsia flowers we have also added a double white Calibrachoa - Can Can. Softening the edge of the basket we have added Lysimachia nummularis Aurea which is a trailing lysimachia. To care for your basket remember not to hang out side until all risk of frost has passed. Do remember to water every day and dont allow your basket to dry out. There are often many plants in a small space so it is important to give them lots of water. Feed them weekly with a general purpose fertiliser. If you dead-head the flowers after they have finished you will keep the basket looking good for a longer time. I'd never heard of Plant Me Now before this week, but, having read about their challenge in a couple of gardening blogs, I shall have a look at their site. 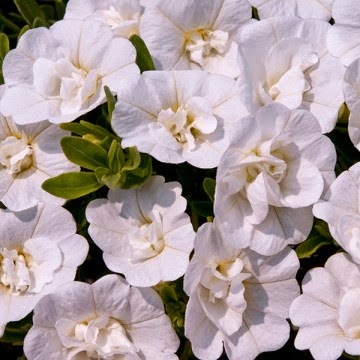 That double white Calibrachoa is quite beautiful.